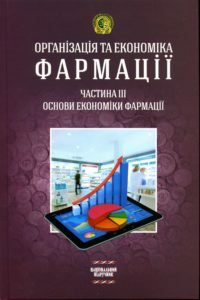 Клінічна фармація (фармацевтична опіка) :підруч. для студ. вищ. мед. (фармац.) навч. закл. / І. А. Зупанець, В. П. Черних, Т. С. Сахарова та ін. ; за ред. В. П. Черних, І. А. Зупанця. — X. : НФаУ : Золоті сторінки, 2011. — 704 с.
У підручнику висвітлені основні поняття і принципи фармацевтичної опіки, засновані на сучасній концепції відповідального самолікування і положеннях Належної аптечної практики. Основна увага приділяється характеристиці нездужань, які найчастіше зустрічаються у практиці аптеки, «загрозливих» симптомів, у разі виникнення яких обов’язкова консультація лікаря, і алгоритму дій провізора під час проведення фармацевтичної опіки. Svetlichnaya, Ye. I. Latin for Pharmacy Students : textbook for students of higher schools / Ye. I. Svetlichnaya, І. A. Tolok, Ye. A. Volobuyeva. — Kharkiv : NUPh : Golden Pages, 2011. — 248 p.
The textbook contains information of pharmaceutical terminology, nomenclature of medicines, chemical, botanical, pharmacognosical nomenclatures, nomenclature of medicinal forms. Latin grammar presented is enough for literary usage of special terminology in practice. The textbook contains final tests with keys, the examples of modular test, the alphabetic list of botanical names of medicinal plants, Latin-English and English-Latin dictionaries. Timanyuk, V. Biophysics : textbook for students of higher schools / V. Timanyuk, E. Zhivotova, I. Storozhenko. — Kharkiv : NUPh : Golden Pages, 2011. – 576 p.
The textbook covers the basic problems of contemporary biophysics. Special attention is given to biophysical problems essential to the professional practice of future pharmacist and doctors. The textbook includes theoretical material, examples of problem solution, problems for solution and questions for the test control on all parts of the «Biophysics» course. One of the distinguishing features of the textbook is clear and logical presentation of the material. The textbook is intended for pharmaceutical and medical students learning in English. 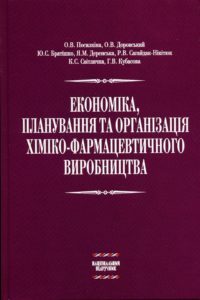 Physical and Colloid Chemistry / V. I. Kabachnyy, L. K. Osipenko, L. D. Grytsan e. o. ; ed. by V. I. Kabachnyy. — Kharkiv : NUPh : Golden Pages, 2011. — 376 p.
The textbook is a stereotype translation from Ukrainian and it is prepared in accordance with the curriculum in Physical and Colloid Chemistry for pharmaceutical higher schools and pharmaceutical faculties of the III—IV level of accreditation. It contains such sections as the fundamentals of chemical thermodynamics, phase equilibria, solutions, electrochemistry, kinetics of chemical reactions, physicochemistry of the surface phenomena and disperse systems, physicochemistry of polymers and their solutions. The importance of the material for pharmacy and medicine is emphasized in each section. 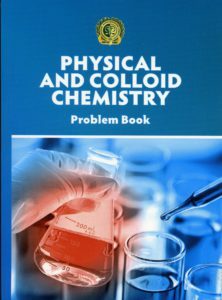 The textbook is intended for students, but it is also useful for postgraduate students, lecturers and all practitioners, who want to enrich the knowledge in the field of physical and colloid chemistry. Pharmacognosy : textbook for higher school students / V. S. Kyslychenko, L. V. Upyr, Ya. V. Dyakonova e.o. ; ed. by V. S. Kyslychenko. — Kharkiv : NUPh : Golden Pages, 2011. 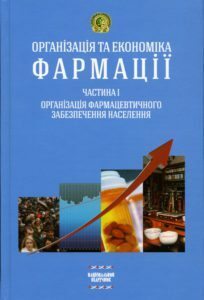 — 552 p.
The first Ukrainian textbook on Pharmacognosy in English prepared in accordance with the curriculum for training Masters of Pharmacy. The book describes the main classes of biologically active substances — their current classification, the chemical structure, distribution in the plant world, methods of isolation and identification, the relationship of the chemical structure and the biological activity of natural compounds. For the first time side effects of herbs and phytomedicines and pharmaceutical care were added to the textbook. Since there is insufficient amount of the necessary educational literature in English, this textbook will serve as the main book for English-speaking students. Патологічна фізіологія : для студентів вищ. фармац. навч. закладу та фармац. факультетів вищ. мед. навч. закладів / М. С. Регеда, А. І. Березнякова, Н. М. Кононенко та ін. – Вид. 2-ге доп. та перероб. – Львів, 2011. – 490 с.
У другому виданні підручника (перше вийшло у 2003 р.) викладено інформацію з основних тем патологічної фізіології згідно з програмою для фармацевтичних ВНЗ. Розглянуто питання етіології та патогенезу основних захворювань людини. Наприкінці кожного розділу подано контрольні питання, тести. Кайдалова, Л. Г. Психологія спілкування : навч. посіб. / Л. Г. Кайдалова, Л. В. Пляка. — X. : НФаУ, 2011. – 132 с.
У посібнику викладено основні теоретичні проблеми психології спілкування, а також враховано специфіку професійної діяльності фармацевтичних фахівців у спілкуванні з відвідувачами аптечних закладів. Посібник розрахований на студентів фармацевтичних спеціальностей, а також може бути корисний студентам, магістрам, інтернам, викладачам і працівникам фармацевтичної галузі. Практический курс по русскому языку : естественнонаучный профиль : учеб. пособие для иностр. студ. / Н. Н. Филянина, Т. В. Гаврюшенко, Т. Е. Суханова и др. – Х. : НФаУ, 2011. – 240 с.
Навчальний посібник складається з двох частин, до кожної з яких входить граматичний матеріал, спрямований на формування у студентів лексико-граматичних навичок, необхідних для вільного висловлювання у навчально-професійній сфері. До посібника також входять тренувальні вправи і тексти, спрямовані на удосконалення письмової та усної мови. Призначено для роботи в аудиторії, а також для самостійної роботи. Екологія : навч. посіб. для студ. вищ. навч. закл. 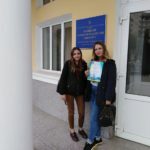 / О. В. Літвінова, Я. Г. Онищенко, Н. Й. Баран, В. М. Тіманюк. – X. : НФаУ : Золоті сторінки, 2011.- 192 с.
У навчальному посібнику розглядаються найважливіші теоретичні питання традиційної та сучасної екології, забезпечення гармонійного співіснування суспільства і природи, раціонального природокористування. Висвітлюються питання глобальної екології, впливу практичної діяльності людини на екологію, правові аспекти охорони навколишнього природного середовища. 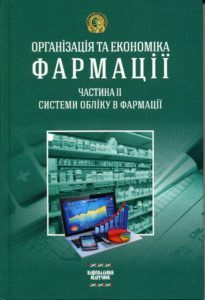 Management and marketing in pharmacy : workbook for independent work of students (tests with explanations) / Z. M. Mnushko, I. V. Pestun, I. V. Sofronova and others. — Kharkiv : NUPh : Golden Pages, 2011. — 128 p.
The tests and explanations of them contain theoretical concepts of management and marketing, materials of applied nature adapted to the pharmaceutical training practice. The material is presented in the form of a table where the test tasks and explanations with the correct answers are given. The manual is recommended for foreign students of pharmaceutical higher schools and faculties to self-preparation for the module control of the discipline and a certification examination. Русский язык. Пособие по научному стилю речи : учеб. Пособие для иностр. студ. / Н. Н. Филянина, В. В. Цыганенко, Т. В. Гаврюшенко и др. – Х. : НфаУ, 2011. – 424 с.
Настоящее издание является учебним пособием для аудиторной и индивидуальной работы, направленным на совершенствование навыков и умений письменной речи иностранных студентов медико-фармацевтического профиля обучения в рамках их профессиональной деятельности. В пособие включено 20 учебных тем, каждая из которых состоит из 2-х частей: основной (практические занятия), дополнительной (Индивидуальные занятия), а также ключи и приложения. Biological Chemistry : textbook for the self-study of students /A. L. Zagayko, L. M. Voronina, G. B. Kravchenko, K. V. Strel’chenko. –Kharkiv : NUPh : Original, 2011. – 264 p.
This textbook is intended to aid. full-time pharmacy students in studying biochemistry. The aim of the textbook is to help students in their self-training for lessons. The organization of the textbook corresponding to the curriculum in biological chemistry meets the teaching purposes in all topics for a learner of biochemistry. Units include questions to cover background knowledge, information material, questions on the topic, and multiple-choice questions for self-control. The textbook finishes with a glossary of key words and keys to the multiple-choice questions. A list of required and additional literature is also provided. Maloshtan, L. M. Biology and Genetics Principles : textbook for students of higher schools / L. M. Maloshtan, O. V. Filiptsova. — Kharkiv : NUPh : Golden Pages, 2011. —368 p.
The textbook is for theoretical training and performing laboratory works in Biology and Genetics Principles for students of the pharmaceutical specialities of the higher schools, who are trained in English. It has been worked out taking into account the modern development of the cell biology, biology of an individual development, human genetics and medical parasitology. 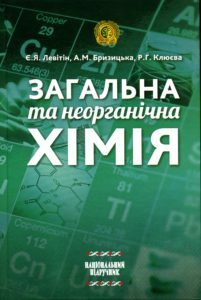 Chemist’s Technology of Drugs : the manual for students of higher schools / A. I. Tikhonov, T. G. Yarnykh, A. B. Yuryeva, O. A. Garkavtseva. – Kharkiv: NUPh ; Original, 2011. – 424 p.
Lecture materials in chemist’s technology of drugs are presented in the textbook. Modern information from theory and practice of preparation of medicines in the conditions of pharmacies is given. The normative aspects of preparation of medicines in various medicinal forms are considered. For students of higher pharmaceutical schools and faculties. 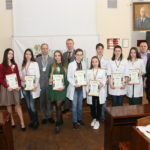 Karpushina, S. A. Toxicological chemistry : lecture course. – 2 ed., added and improved / S. A. Karpushina, V. S. Bondar, I. O. Zhuravel. – Kharkiv : NUPh : Golden Pages, 2011. – 208 p.
This book includes the lectures concerning the following topics: Introduction into Toxicological Chemistry; Regularities of the poison behaviour in a body and metabolism; Metallic poisons; Volatile poisons; Pesticides; Drugs. Topics learnt by students independently (Mineral acids, alkalis, nitrate and nitrite; Fluoride and silicifluoride; Carbon monoxide) are presented in schemes and tables of the appendix. The theoretical and practical aspects of isolation, screening procedures, identification and quantitative determination for each group of poisons, as well as the problems of the biological sample choice, toxicity, disposition in a body, metabolism and excretion of poisons are discussed. It is intended for the students of pharmaceutical faculties of the universities requiring a basic foundation in Toxicological Chemistry. Analytical chemistry: collection of lectures on quantitative analysis / V. V. Bolotov, L. Yu. Klimenko, T. A. Kostina, S. V. Kolisnyk, K. V. Dynnik, T. V. Zhukova. — Kharkiv : NUPh : Original, 2011. 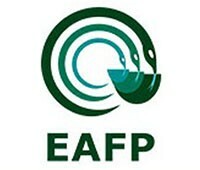 — 264 p.
The manual created at the Analytical Chemistry department of the National University of Pharmacy is devoted to quantitative analysis of substances by chemical and instrumental methods of analysis according to the modern level of development of theory and practice in the analysis of substances, their mixtures, including medicines. For students of higher schools. Chernykh, V. P. Organic chemistry. Basic lecture course: the study guide for students of higher schools / V. P. Chernykh, L. A. Shemchuk. – 4 ed., rev. and enl. – Kharkiv : NUPh : Original, 2011. 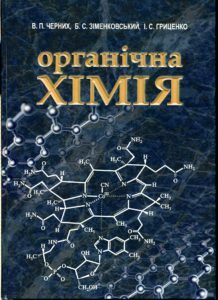 – 440 p.
The “Organic chemistry lectures by V. P. Chernykh”, which are used by pharmaceutical university students for many years, became fundamental for this book. Lecture course contains the main aspects of modern organic chemistry. Preparation, physical and chemical properties together with methods of identification for the most important classes of organic compounds are discussed in the textbook. Reaction mechanisms and principles of the organic compounds intercon-version are presented. The book is recommended first of all for the English-speaking students of pharmaceutical higher educational establishments and pharmaceutical departments. It could be also useful for students of medical, biological, pedagogical, agricultural and other departments. Стандартизація і сертифікація у фармації: курс лекцій: навч. посіб. для студ. вищ. навч. закл. / С. М. Коваленко, І. Г. Левашова, Св. М. Коваленко та ін. – X. : НФаУ : Золоті сторінки, 2011. – 320 с.
У посібнику викладені основні положення управління якістю продукції і державної політики у сфері якості, розкриті питання з основ стандартизації і сертифікації товарів і послуг, висвітлені механізми функціонування національної системи стандартизації і сертифікації продукції, зокрема особливості стандартизації і сертифікації фармацевтичної продукції. Призначено для студентів фармацевтичних ВНЗ та інших навчальних закладів III—IV рівнів акредитації, факультетів удосконалення кваліфікації працівників фармації, а також менеджерів, економістів, що займаються питаннями стандартизації і сертифікації продукції, фармацевтичної продукції і послуг. Бухгалтерський облік на підприємствах фармацевтичної галузі : навч. посіб. для студ. вищ. навч. закл. / А. С. Немченко, С. В. Огарь, І. В. Кубарєва та ін. ; за ред. А.С. Немченко. – X. : НФаУ : Золоті сторінки, 2011. – 264 с.
У навчальному посібнику розглянуто теоретичні і практичні питання бухгалтерського обліку на підприємствах фармацевтичної галузі. Викладено у логічній послідовності суть, предмет і метод бухгалтерського обліку, бухгалтерський баланс, систему рахунків бухгалтерського обліку і подвійний запис, облік процесів господарювання та основи організації бухгалтерського обліку і звітності. Призначений для студентів фармацевтичних спеціальностей вищих навчальних закладів при проведенні практичних занять, керівників і спеціалістів фармацевтичних фірм при проведенні обліку господарських операцій. History of Ukraine : textbook for students of higher school / N. N. Savchenko, R. I. Filippenko, S. M. Kudelko et al., edited by S. N. Smolensky. — Kharkiv : NUPh : Golden Pages, 2011. 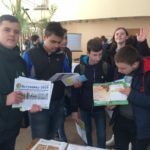 — 224 p.
The textbook is written on the basis of the program «History of Ukraine» course approved by the Ministry of Education and Science of Ukraine. The textbook presents the main questions in the history of the Ukrainians from the prehistoric time till nowadays. To master the material more effectively there is an accentuation of important information, each topic contains essentials, terminological dictionary and biographical data of prominent personalities ofUkraineof the period learnt, chronological tables and test tasks. 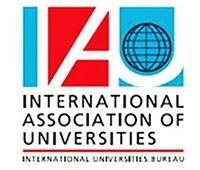 The textbook is intended for students of higher schools of the I-lVhaccreditation levels. It can also be used by foreign students thanks to simple presentation and 3-language dictionary. 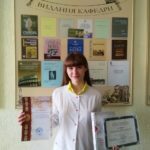 Аналітична хімія : Якісний та кількісний аналіз : навч. 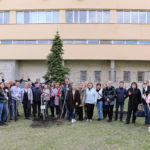 конспект лекцій / В. В. Болотов, О. М. Свєчнікова, М. Ю. Голік та ін. 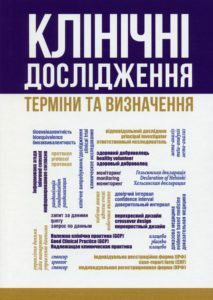 – Вінниця : Нова Книга, 2011. – 424 с.
Даний навчальний посібник, підготовлений на кафедрі аналітичної хімії НФаУ, містить курс лекцій з аналітичної хімії, в яких розглядаються основні теоретичні та практичні аспекти якісного аналізу, основні теоретичні і практичні аспекти класичних та інструментальних методів кількісного аналізу. Посібник призначено для студентів 2-го курсу спеціальностей “Фармація”, “‘Клінічна фармація”, “‘Технологія фармацевтичних препаратів”, “‘Технологія парфюмерно-косметичних засобів”, “Біотехнологія” і “Лабораторна діагностика”. Лабораторні дослідження в педіатрії : навч. посіб. / О. І. Залюбовська, Г. П. Фоміна, В. В. Зленко та ін. – Х., 2011. – 256 с.
Навчальний посібник містить сучасні відомості з етіології, патогенезу таклінічної картини захворювань; основні лабораторні та функціональні показники в нормі та при найбільш поширених захворюваннях у педіатрії. Bolotov V. V. Analytical chemistry. 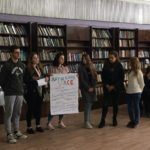 Part I. Qualitative analysis: the manual for foreign students of pharmaceutical higher schools and pharmaceutical departments of medical higher schools of the III — IV accreditation levels / V. V. Bolotov, T. A. Kostina, L. Yu. Klimenko. — The 2 edition, revised and corrected. — Kharkiv : NUPh : Original, 2011. 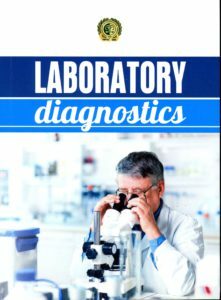 — 200 p.
The manual created at the Analytical Chemistry department of the National University of Pharmacy corresponds to the modern level of development of theory and practice in the analysis of substances, including medicines. This part of the manual is devoted to qualitative analysis of substances. Theoretical bases, laboratory works, control questions for students, examples are presented in the manual. Learning manual of human physiology and human anatomy for practical study / L. M. Maloshtan, V. A. Volkovoy, O. V. Dolzhykova et. al. – Kh. : NUPh : Golden Pages, 2011. – 216 p.
Лабораторні заняття з фізіології та анатомії людини містять основні дані про будову та функцію організму людини при виконанні практичних занять з фізіології іноземними студентами. Це допоможе студентам краще взнати функцію людського організму і застосовувати ці знання в майбутньому при вивченні фармакології, фармакотерапії та клінічної фармації. Суханова, Т. Е. Русский язык как иностранный : учеб. Пособие для студ.-иностранцев 1 курса / Т. Е. Суханова. – Х. : НФаУ : Золотые страницы, 2011. – 304. с.
Учебное пособие предназначено для формирования коммуникативной компетенции инстранных студентов. Оно включает 21 урок, материал которых охватывает предложно-падежную систему русского языка, дает представление о роде и числе существительных, согласовании прилагательных, личных и притяжательных местоимениях, временах глагола, наречиях. Mnushko, Z. M. History of Medicine and Pharmacy : textbook for students of higher schools / Z. M. Mnushko, O. Yu. Rohulya,I. V. Timanyuk. – Kharkiv : NUPh : Golden Pages, 2011. – 192 p.
In the textbook the history of medicine and pharmacy is presented from the study of medicines in the ancient world to the present days in the form adapted for junior students. Development of pharmacy science and education has been shown, as well as the information about the state of pharmacy in foreign countries is given. The textbook includes topics of lectures according to the curriculum of the discipline, theoretical questions and tasks for tests. It is recommended for foreign students of specialty «Pharmacy» of higher pharmaceutical schools. 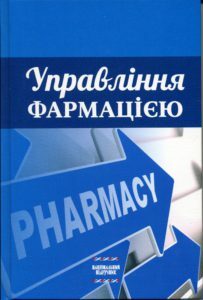 Dry, liquid and soft medicinal forms : a textbook for English students in speciality “Pharmacy” / A. I. Tikhonov, T. G. Yarnykh, A. B. Yuryeva, L. N. Podorozhna, S. S. Zuykina. – Kharkiv : NUPh ; Original, 2011. – 208 p.
The textbook is aimed at getting the students to know definitions of dry, soft and liquid medicinal forms such as powders, solutions, mixtures, drops, non-aqueous solutions, colloidal solutions, suspensions, emulsions, ointments, liniments, suppositories; advantages and disadvantages, peculiarities of preeparation, general rules and rules of introduction of medicinal substances into medicinal forms, packing and registration for dispensing. For English students in speciality “Pharmacy”. Filimonova, N. I. General microbiology : synopsis of lectures to laboratory classes / N. I. Filimonova, M. M. Velika, N. Yu. Shevelyova. – Kharkiv : NUPh : Golden Pages, 2011. – 128 p.
The most modern information on general microbiology is represented in this synopsis. There is also the information concerning morphology, physiology of different forms of microbes, microorganisms in the environment, fundamentals of immunology, infection and antimicrobial chemotherapy. The synopsis includes sections of morphology and physiology of bacteria, viruses, microorganisms and the environment and the influence of environmental factors on growth, methods of microbiological control of medicines, studies about infection and immunology. The synopsis is recommended for students of higher medical and pharmaceutical universities of the Ill-IV-level accreditation, who study the discipline in English. 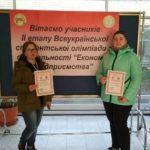 Biopharmaceutics : lectures for English students of the speciality “Pharmacy” / A. I. Tikhonov, T. G. Yarnykh, A. B. Yuryeva, L. N. Podorozhna, S. S. Zuykina. – Kharkiv : NUPh : Original, 2011. – 140 p.
Lectures of Biopharmaceutics is aimed to acquaint the 5-th year students with the definition of biopharmaceutics, the history of its development and the basic terms. Classifications of factors, their content and variable aspects of biological availability of medicines, pharmacotechnologieal methods of the quality evaluation, solubility, absorption of medicinal substances from medicinal forms are represented in the collection of lectures. Interesting results of the biopharmaceu-tical investigation in creating new medicines are shown in the handbook. Методологія викладання аптечної технології ліків: навч.-метод. посіб. для викладачів / О. І. Тихонов, Т. Г. Ярних, С. О. Тихонова та ін. – Х. : НФаУ, 2011. – 232 с.
У посібнику наведено основні навчально- методичні аспекти викладання аптечної технології ліків: єдиний план проведення занять, колоквіумів, семінарів; загальні та конкретні матеріали до кожної теми занять, ділові ігри; рекомендації до виконання практичної та самостійної роботи студентів; з’ясування початкового рівня знань студентів і його корекція; організація проведення письмового контролю; виховні моменти при вивченні АТЛ. Biopharmaceutics. Tutorial: Practical course for English students of specialty “Pharmacy” / A. I. Tikhonov, Ye. Ye. Bogutskaya, T. G. Yarnykh A. M. Kotenko, O. A. Garkavtseva. – Kharkiv : NUPh : Original, 2011. – 80 p.
Practical course in biopharmaceutics is intended for in-class work of students, it includes practical tasks, theoretical issues and operating algorithms under each topic, as well as the workshop summarizing theoretical issues, tests and situational tasks. It is recommended for students of higher pharmaceutical schools and departments. 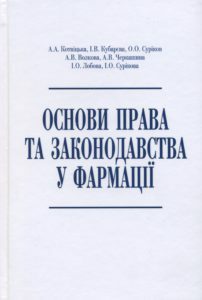 Drogovoz, S. M. Pharmacology : manual for practice on special pharmacology. P. 1 / S. M. Drogovoz, T. A. Kutsenko. – Third edition, stereotypic. – Kh. : NUPh, 2011. 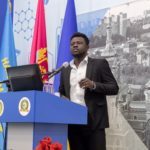 – 68 p.
Drogovoz, S. M. Pharmacology : summary of lectures on special pharmacology. P. 1 / S. M. Drogovoz, T. A. Kutsenko. – Third edition, stereotypic. – Kh. : NUPh, 2011. – 72 p.
Toxicology : summary of lectures, practice and tests on toxicology / S. M. Drogovoz, T. O. Kutsenko, A. Yu. Pozdniakova, V. A. Ulanova. – Kharkiv : NUPh : Golden Pages, 2011. – 88 p.
This issue is a brief summary of lectures, practice and tests on toxicology for students. 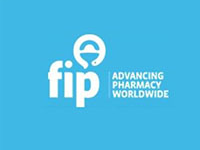 Using this logically structured information future pharmacist will be able to solve the professional tasks. This edition is recommended for students of universities and depart­ments of pharmacy. Ярних, Т. Г. Нормативна база, яка регламентує роботу аптек з виготовлення лiкiв : проблем. лекцiя для спец. “Фармацiя”, “Клiнiчна фармацiя” / Т. Г. Ярних, О. С. Данькевич. – Х. : НФаУ, 2011. – 39 с.
Tkachov, S. Synopsis of lectures and practical tasks to psychology lessons : learning book / S. Tkachov. – Kh. : NUPh, 2011. – 28 p.
Sociology : handbook for foreign students / T. N. Melentyeva, D. Ye. Pogorely, N. V. Shevchenko, D. O. Ostapenko. – Second edition, stereotypic/ – Kh. : NUPh, 2011. – 64 p.
Political Science: workbook for foreign students / aut.-comp. D. Ye. Pogorely, V. Yu. Fesenko. – Kh. : NUPh, 2011. – 78 p.
Комарова, Е. А. Словарь химических терминов для иностранных студентов подготовительных факультетов высших учебных заведений / Е. А. Комарова. – 2–е изд., стереотип. – Х. : НФаУ, 2011. – 40 с.
Етико-правові аспекти медицини та фармації: теорія та практика / К. А. Іванова, А. П. Лантух, В. В. Гаргін та ін. – Х. : НФаУ : Золоті сторінки, 2011. – 188 с.
У запропонованій монографії автори стверджують, що провідне місце у сучасній етиці займають питання етики медицини та фармації. Таким проблемам, як евтаназія, етика репродуктивних технологій та ін., багато уваги приділяється у працях не тільки вітчизняних науковців, але і у дослідженнях зарубіжних вчених. Щодо України, то проблеми медичної етики тільки знаходяться на «старті» і вимагають свого подальшого розвитку. Блажеєвський, М. Є. Пероксидні похідні карбонових кислот як дезінфекційні та стерилізуючі засоби / М. Є. Блажеєвський, В. П. Черних, С. М. Коваленко. – X. : НФаУ : Оригінал, 2011. – 104 с.
Монографія присвячена характеристиці, призначенню та перспективам застосування сучасних хімічних засобів дезінфекції та стерилізації на основі пероксидних сполук. У ній розглянуто фактори, які впливають на стійкість та ефективність вияву специфічної біологічної дії пероксидних похідних карбонових кислот. Наведені результати опрацювання нових дезінфекційних та антисептичних засобів на основі виших пероксикарбонових кислот. Латинiн, М. А. Внутрiшнiй економiчний механiзм пiдприємства : метод. рек. до викон. самост. роботи для спец. “Економiка пiдприємства” ден. та заоч. форм навчання / М. А. Латинiн, Д. В. Карамишев, О. А. Бутенко. – Х. : НФаУ, 2011. – 51 с.
Остапенко, О. Є. Правовi засади адмiнистративної дiяльностi : метод. рек. до викон. контрол. робiт для спец. “Адмiнiстративний менеджмент” / О. Є. Остапенко, Д. В. Карамишев. – Х. : НФаУ, 2011. – 24 с.
Медицинское и фармацевтическое товароведение: пособие для внеаудиторной и аудиторной работы студ. дневной и заочной форм обучения / под ред. В. Г. Демьяненко. – Х., 2011. – 168 с.
В части 1 пособия приведен краткий информационный материал по курсу «Медицинское и фармацевтическое товароведение», касающийся вопросов медицинского товароведения. Разработано с целью освоения студентами практических навыков по проведению товароведческого анализа медицинских товаров, и содержит вопросы и тестовые задания, необходимые для усвоения информационного материала.